Versico Roofing Systems introduces its VersiCore MP-H NH and SecurShield NH polyiso insulations. 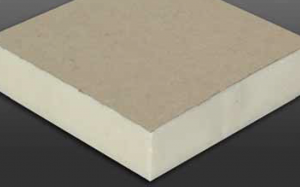 According to the manufacturer, these products provide the same performance characteristics as standard polyiso products but contain no halogenated flame retardants. VersiCore MP-H NH and SecurShield NH are Living Building Challenge “Red List Free” with Declare label and product database listing. They are also California Department of Public Health (CDPH) VOC emissions compliant and can contribute toward LEED v4 credit requirements, according to the company. VersiCore MP-H NH and SecurShield NH are manufactured in Montgomery, N.Y., on a made-to-order basis. As demand requires, additional manufacturing locations will be brought online and more products will be made available.